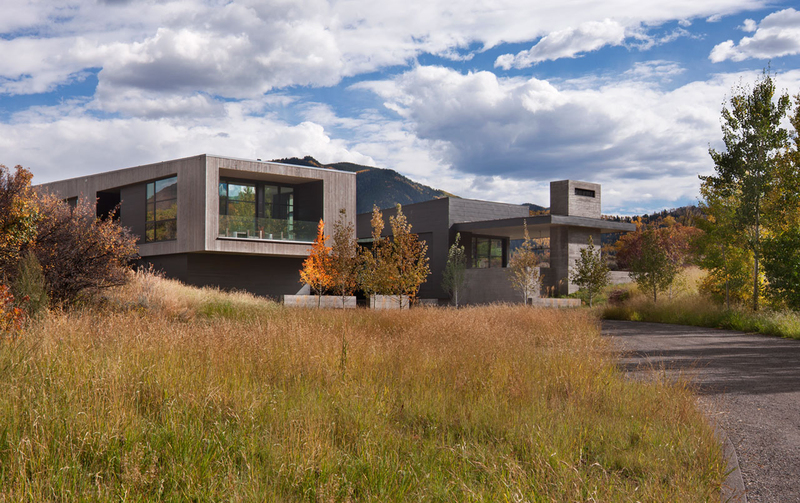 The Colorado chapter of the American Institute of Architects presented CCY Architects with six design awards in 2017, two of which were its highest honor, the Award of Excellence. The awarded projects are Old Pond Residence, T.A.G. Residence, Maroon Creek Overlook, and Red Butte Residence. The jurors awarded this property due to its sophisticated design and intricate details that blend well with the environment. The residence is a modern take on the rugged simplicity and warmth of mountain cabins. A primary goal was to maximize views from the interior and engage immediate landscape through integration with the naturally sloping grade. A singular roof parallels the grade and connects landscape and built form. The owners wanted a rigorous contemporary home that resonated with its wild surroundings. The jurors commended the design as achieving this through a site-conscious approach that creates a strong connection between the crisply detailed interior and the minimalist exterior via panoramic views, an outdoor room, and embracing solar access. The jury also noted the home's restrained feel, judicious use of materials, and strong connection to the environment. This home is defined by an assemblage of crisp gable forms with rigor in their attention to detail. The public realms of the house capture the views and sun while some provate spaces embrace the surrounding aspen groves. The jury greatly appreciated that the design created a space that feels organized and controlled, yet very serene, using its surroundings to great advantage. The design for this home utilizes the simple idea of removing solid walls and allowing natural features to act as exterior walls and privacy screens. 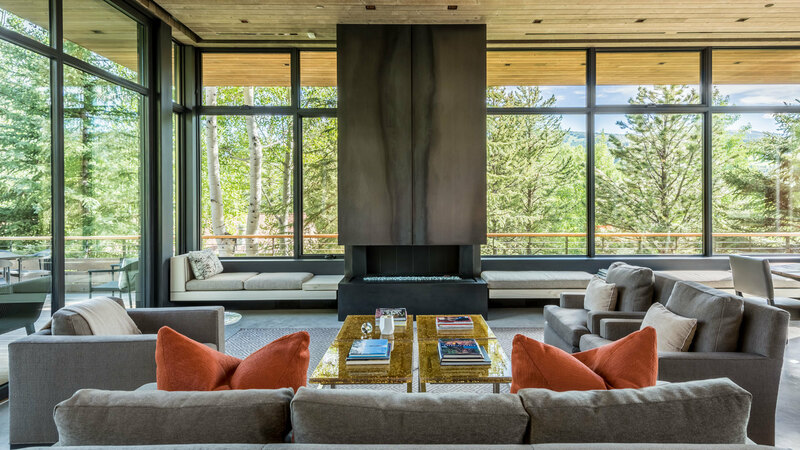 As seen through expansive windows, stands of evergreens, aspen groves, and a vertical rock formation become the spatial definitions for the living spaces. The jurors remarked upon the home's minimal, spare architectural expression that allows a melding of indoors and outdoors.